So for those of you that have never heard of Pioneer Woman…you are missing out. Greatly. She is amazing and inspiring and all of her food I have made thus far is FABULOUS!!!! Seriously that good! Her blog is: http://thepioneerwoman.com/ and she also has two cookbooks. I received one of those cookbooks as a wedding gift and am absolutely loving it! 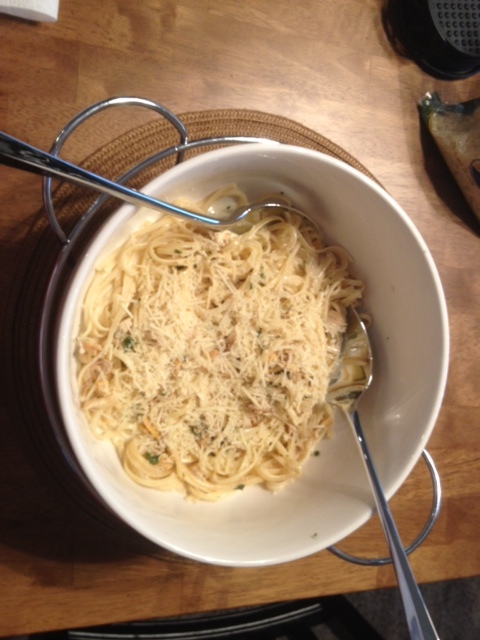 This is one of her recipes that I made for my husband…I have to tell you this is majorly branching out for us. We rarely eat seafood aside from tilapia, salmon, and California rolls (I don’t think those are technically real crab) and we especially don’t cook seafood aside from tilapia and salmon. So this was stepping out on a limb. I thought this recipe was super quick and easy to whip up and my husband and I both LOVED it! It’s very rich and creamy so if you want to lessen that (or if you want it to be healthier) you can use regular milk instead of cream. Cook the linguine until al dente. In a large skillet over medium-high heat, add the olive oil and 1 tablespoon butter. Pioneer Woman says using both olive oil and butter allows you to heat the mixture at a higher heat before it starts to brown. 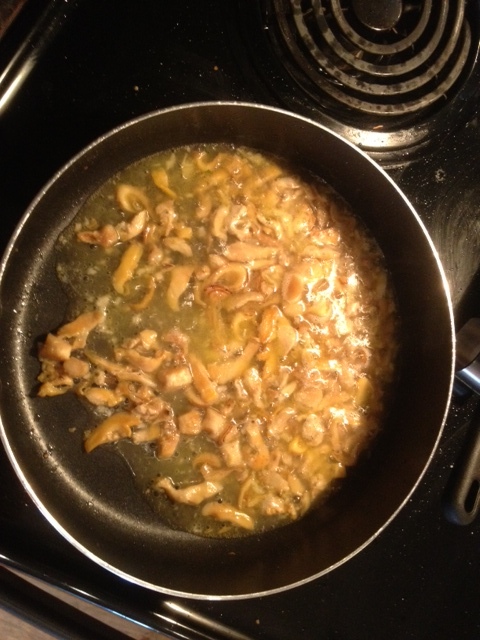 Add the garlic and clams and stir together cooking for 3 minutes. Pour in the white wine, scraping the bottom of the pan with the spoon. Cook for 3 to 4 minutes until the sauce is reduced and less watery. Add in 1 more tablespoon butter and stir to melt. Reduce the heat and squeeze in the lemon juice. 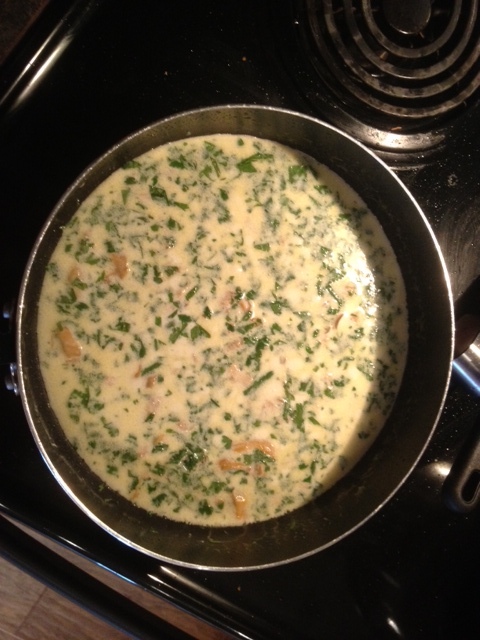 Sprinkle in the parsley and pour in the cream. Add salt and freshly ground black pepper. Stir well and taste for seasons. If the sauce is too thick add a little of the reserved clam juice. Cook over low heat for 3 minutes more. Pour the pasta in a heated serving bowl and pour the sauce over the top. Toss to combine and toss with Parmesan cheese and lemon slices.